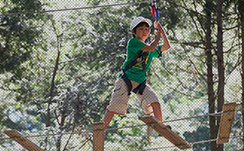 The Discovery Course is not as high as the Adventure Course, and has a lower level of difficulty, meaning more people will find it accessible. 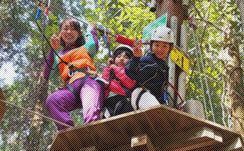 Kids and adults can enjoy the whole course together, so it is especially recommended for family groups. 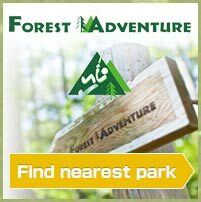 A good introduction to Forest Adventure for your first visit. Under-18s must be supervised by an adult. 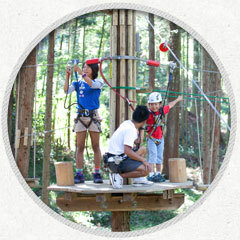 Parents and children will bond as they work together to overcome the obstacles. One adult can supervise two children. 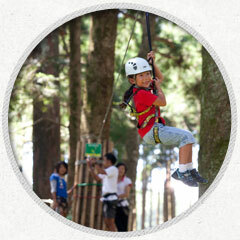 A fun course for your whole family to experience together. 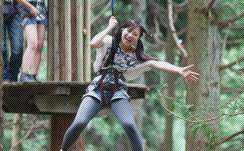 The best part of Forest Adventure is being in charge of your own safety, which is a rare experience, and serious fun!